In addition to the first defeat in their past eight playoff games, the Warriors lost center DeMarcus Cousins to a potentially serious left quad injury in the first quarter. Cousins, who was playing in just the second playoff game of his career, was scheduled for an MRI exam on Tuesday. After Klay Thompson misfired on a 3-point attempt at the other end, Shamet converted a Shai Gilgeous-Alexander assist into what turned out to be the game-winning hoop. 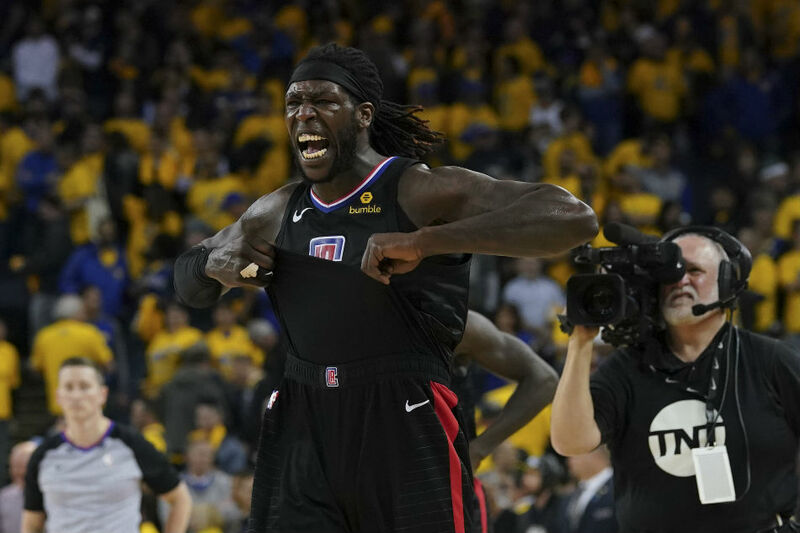 Down by two, the Warriors went for the win, but Curry couldn’t connect on a 3-point try, after which Montrezl Harrell calmly dropped in two free throws for the final margin of victory. Williams’ point total came on 13-for-22 shooting and 8-for-10 from the free-throw line, the latter helping the Clippers cut into a 40-25 Warriors advantage in points from the line in the tightly officiated game.